Are you an emerging entrepreneur who likes to approach challenges independently? Would you like to unfold your entrepreneurial spirit and your passion for the world of media? 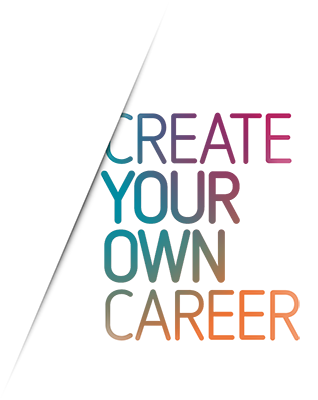 The Bertelsmann Entrepreneurs Program (BEP) takes the slogan “Create Your Own Career” literally. Each year, we invite a handful of graduating MBA students from top business schools worldwide to take part in this program. Over the course of 18 months, BEP participants rotate through different Bertelsmann divisions worldwide, seeking out and implementing a number of entrepreneurial projects as they go. The aim is to prepare participants – who are as diverse as the customized operative and strategic projects they work on – for assuming high-level responsibility within a short period of time. Through the Bertelsmann University in partnership with international high-class business schools, BEP offers excellent opportunities for professional development. The program includes mentoring by Corporate Management Development and divisional leaders, as well as sponsorship from a member of the Bertelsmann Executive Board. If you have any questions or require additional information, feel free to contact Judith Gördes (j.goerdes@bertelsmann.de) or Steffi Heldberg (s.heldberg@bertelsmann.de) from our Corporate Management Development. The following information is designed to provide an overview of our use of personally identifiable information (hereinafter “personal data” or “personal information”) relating to you for the purposes of the Application Process for Participation in the Bertelsmann Entrepreneurs Program and of your rights as a data subject. 1. Who is accountable (data controller) for processing my personal data? is accountable as the data controller in terms of data protection law for the processing of your personal data. Where reference is made to ‘we’ or ‘us’ below it refers to the company indicated above. We process personal data in accordance with the provisions of the European General Data Protection Regulation (GDPR) and the German Federal Data Protection Act (BDSG). You can contact our designated Data Protection Officer at the address indicated above by using the reference ‘For the attention of the Data Protection Officer’ or by email to: datenschutz@bertelsmann.de. 2. What personal data is required for applying for and taking part in the Bertelsmann Entrepreneurs Program? Information pertaining to your career history: placements / professional training and education / permanent positions / independent work / time spent abroad [department/area, job title, name of company, location], degree courses [institutions of higher education, courses/programs, degrees], formal education [school, designation of diploma or school-leaving certificate], credentials, etc. Miscellaneous: interests/hobbies/etc., (foreign) language skills, etc. 3. Why is my personal data being processed and what is the legal basis for this? Your personal data is used for reviewing your application materials and during selection days for carrying out the application and selection process to fill the position. 4. Do I have to disclose personal data? In applying for and taking part in the Bertelsmann Entrepreneurs Program you must provide the personal information that is necessary for conducting and completing the application and selection process for fulling the position (see section 2.). Without this information we cannot select you as a program participant or enable an employment contract to come about. Based on the consent given by you pursuant to section 26(2) of the German Federal Data Protection Act (BDSG-new), selected representatives of other group alliance members will take part in the staffing decision. Consequently, we disclose the information provided by you in section 2 to Bertelsmann staff and selected group alliance members. We also contract service providers (contract data processors, e.g. data centers, agencies, etc.) who are bound by our directives to collect and process your personal data (e.g. in the context of overall communication in the application process and the aforementioned and assessment days). All contract data processors are provided access to your information only to the extent and for the period necessary to provide the services contracted by us. Where these service providers process your personal data outside of the European Union, this may result in your personal data being transmitted to a country which does not provide for the same standard of data protection as the European Union. In this case, we ensure that the service providers guarantee an equivalent level of data protection by way of contractually binding them or by other means. You can request a copy of these safeguards by contacting the addresses indicated in section 1 above. For purposes of criminal or other investigations, your personal data collected under section 2 above may be disclosed to a competent authority. 6. How long is my personal data stored? Your personal details will be stored in an anonymized form starting three months upon the dispatch of any rejection notice concerning your application; this information will be erased completely after six months have lapsed upon the dispatch of the rejection notice. In taking part in the program upon the conclusion of a contract with you, your information will be stored and used on a long-term basis, based on your consent. 7. What are my rights as a data subject? You have the right to request access to your personal data that is currently stored by us. If this data is incorrect or not up to date, you have the right to request rectification. In addition, you can request that your personal data be erased and/or its processing be restricted if the criteria set out in Art. 17 and 18 of the GDPR are satisfied. Where our processing of information provided by you is based on your consent or is the subject of a contract, you may request a copy of this data in a structured, commonly-used, machine-readable format (right to data portability). You also have the right to object to the processing of your data (Art. 21 GDPR). If you want to exercise any of your rights, or if you have general questions regarding the data protection provided by the data controller, you can address these issues to the contact indicated in section 1 above. If you have consented to the processing activity described in section 2 above, you have the right to withdraw this consent at any time with effect for the future. In addition, you also have the right to lodge a complaint with the competent authority. The authority responsible for the data controller is LDI NRW (Landesbeauftragte für Datenschutz und Informationsfreiheit Nordrhein-Westfalen, Postfach 200444, 40102 Düsseldorf). Moreover, you have the right to contact the authority at your place of residence and request support in pursuing your query. 8. Is my personal data processed by means of automated decision-making, including profiling? No automated decision-making is involved in this process.